BOSTON — RunWenatchee’s Joel Rhyner didn’t know what to totally expect during the 119th Boston Marathon. He knew it would be an amazing experience running the legendary race. But what happened Monday overwhelmed him. these small towns and you could hear them cheering a half-mile away. The noise was deafening. It was incredible. 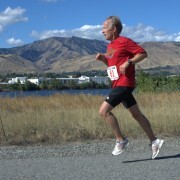 Rhyner, who completed the fabled course in 3 hours, 44 minutes and 55 seconds, was one of several North Central Washington runners to quality for the event and make the trip east. Omak’s Stacey Ladoux finished in 3:46:11; Orondo’s Jerry Kyle was clocked in 4:10:11; and Omak’s Nancy Nash came in at 4:10:19. Through about two-thirds of the race, Rhyner, a physician’s assistant in cardiology with Confluence Health in Wenatchee, was on pace to finish in under 3 hours, 30 minutes. Then he began to get hypothermic. 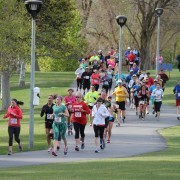 It rained most of the race, with temperatures a cool and steady 42 degrees, with 15- to 30-mph head winds. Wind chill was in the mid-30s. 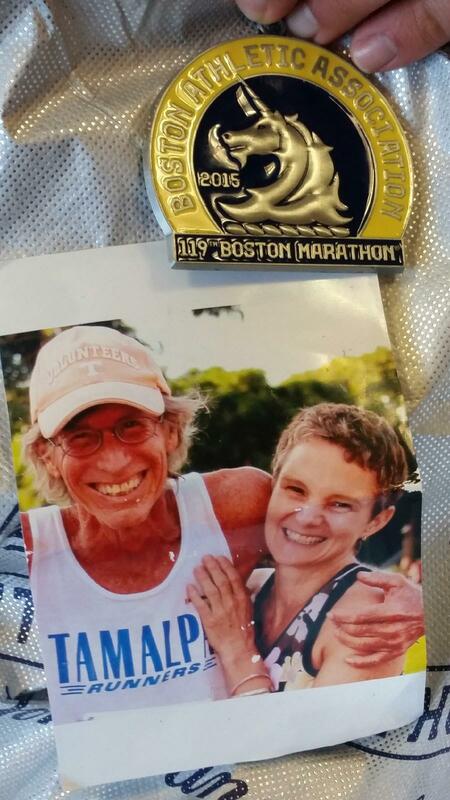 Rhyner carried this photo of Maui running legend Billy Conner, who passed away this past January at age 65, while completing today's Boston Marathon. Conner, who occasionally resided in Chelan, was a finisher in the last 38 Maui Marathons. He completed more than 100 marathons in his lifetime. Wenatchee's Frank Cone gave Rhyner the photo of Conner. Rhyner qualified for Boston by running 3:22:25 in the 2013 Leavenworth Oktoberfest Marathon. 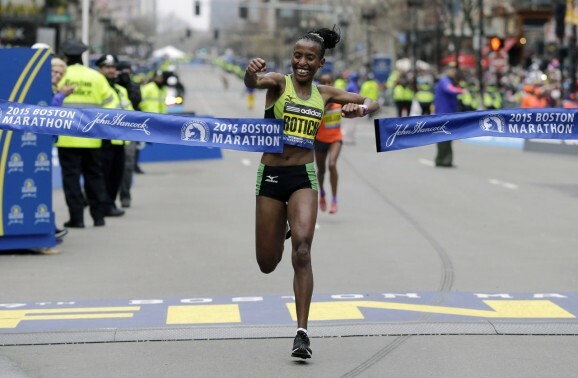 Lelisa Desisa of Ethiopia earned his second Boston Marathon title Monday, finishing in 2 hours, 9 minutes, 17 seconds to claim a golden olive wreath. Kenya’s Carolina Rotich won the women’s race, beating Mare Dibaba in a shoulder-to-shoulder sprint down Boylston Street to win by a mere 4 seconds. Dathan Ritzenhein of Rockford, Mich., was the first American men’s runner, finishing in seventh place. Fellow American Meb Keflezighi finished eighth a year after winning the race — the first for an American man since 1983. Desiree Linden was the top U.S. female finisher, taking fourth in the women’s race. More than 30,000 people registered for the 2015 marathon. Rhyner said he was impressed with the 9,000 volunteers who lined the course and also the encouragement from spectators he will probably never lock eyes with again. “Every time you are struggling, there is someone there to cheer you on.